Cairo, meaning “Victorious City", is the capital of Egypt and is the largest city in Africa, located near the ancient cities of Memphis (capital of the Pharaohs), Giza (the pyramids of Giza) and Fustat (the first capital of Egypt under Arab rule). It is known locally as "Misr", the Arabic name for Egypt. 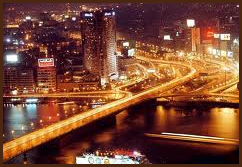 The city of Cairo covers an area of more than 453 sq km and sits alongside the Nile River. 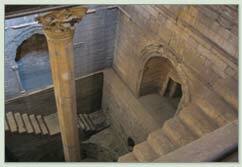 It also contains many cultural, business and government institutions, as well as universities and many hotels. In downtown Cairo you will find the famous Tahrir Square, located on the east bank, where you will also find the Egyptian Museum. 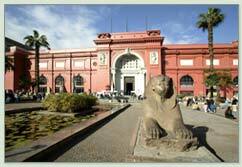 Extending from north to south along the East Bank of the Nile is the Corniche, Cairo's main thoroughfare. In the centre of the city is the river island of Zamalek, which contains the upscale residential and commercial neighborhood, the Cairo Opera House, and the Cairo Tower.